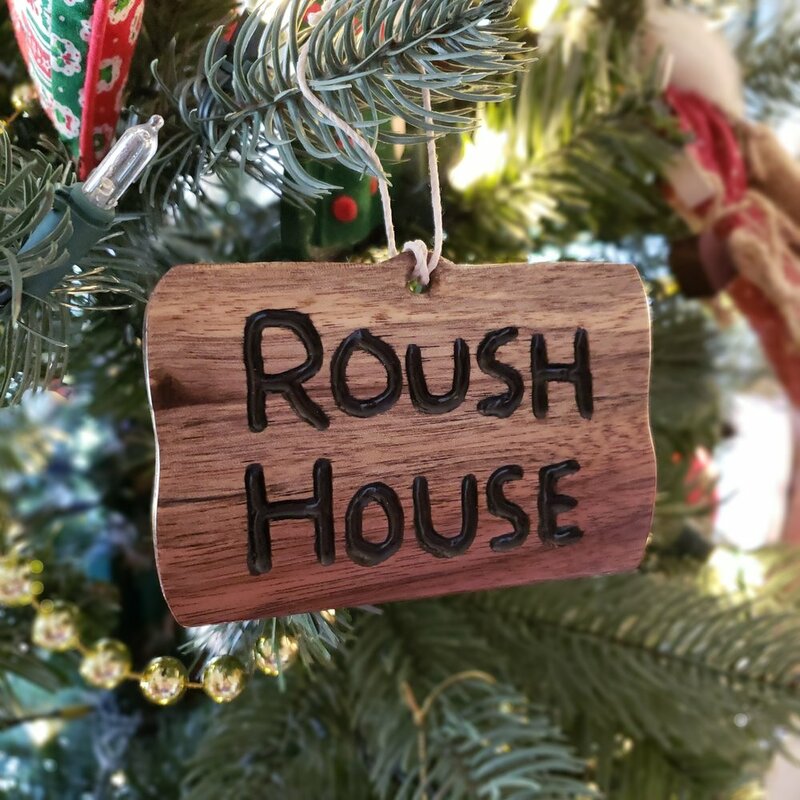 This was the second year in row in which I teamed up with my boyfriend, a talented woodworker, to create custom wooden ornaments for our family and friends. Together we brainstorm ideas and then design each ornament and create a cut pattern for him to use. Once he’s finished cutting and sanding the ornaments, I’ll add hand lettered text, illustrations or flourishes before he seals it up with a clear coat. From there we shop for packaging materials and concept how to personalize each delivery. This year we wrapped each ornament in colored tissue paper and stuffed them inside small brown bags that I then illustrated with a unique winter scene to set each gift apart.